Permits one person to install and use this software without any restrictions. For example, it would be ideal for the system administrator of a small company, who uses the program from his computer. He can generate reports and send them to colleagues, but his colleagues cannot install and use the software themselves. Permits all users at one physical location within an organization to use the software. Permits an unlimited number of company employees to install and use the software regardless of location. This is suitable for larger companies with multiple system administrators and physical sites. Permits one person to use and install the software at unlimited locations. For example, an IT consultant serving a number of companies can install it on all of his clients' computers, but he is the only one who can use it. Permits an unlimited number of people who are employees of the company to use and install the software at unlimited locations. This is suitable for managed service providers with multiple consultants. 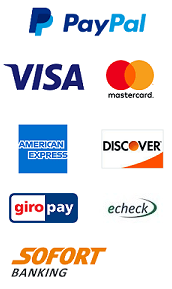 Secure online payments provided by 2Checkout. Are you interested in other Albus Bit products? Check out Albus Bit Pro Bundles (Save up to $1847). We have teamed up with Avangate to provide a secure and reliable online sales platform for our products. The whole ordering process is supported by Avangate and they handle all transaction details. Avangate meets all the latest online security standards so your data is 100 percent safe. The price will be converted to your local currency when you click Buy Now. You will receive an email with instructions on how to download your product and product key.